When we talk Softboards (foamies), our minds dart to the 9ft mals we learnt to surf on and the enjoyment of watching groms in surf schools taking each other out as they charge through the white water. But softboards have well and truly moved past those specific occasions in your surfing existence. They can now come with modern shortboard outlines, have FCSII or Futures boxes in a range of fin set ups and importantly, they’re a genuine option to surf in heavier waves at your local wedge or shore break. Softboards are still the best option for parents looking for a safe and durable board for their kids, but now advanced surfers can also get in on the action to inject a little light-hearted fun into their quiver. We have hand-picked a selection of our best softboards available this season that suit every level of surfer. The Beater is a game changer. Surf it with or without fins, bodyboard or skim it, this thing is a blast no matter what the conditions or your ability. Featuring a strong, light-weight and water-resistant core with two maple-ply wood stringers and a high-density bottom to make it the stiffest most durable Beater ever made! 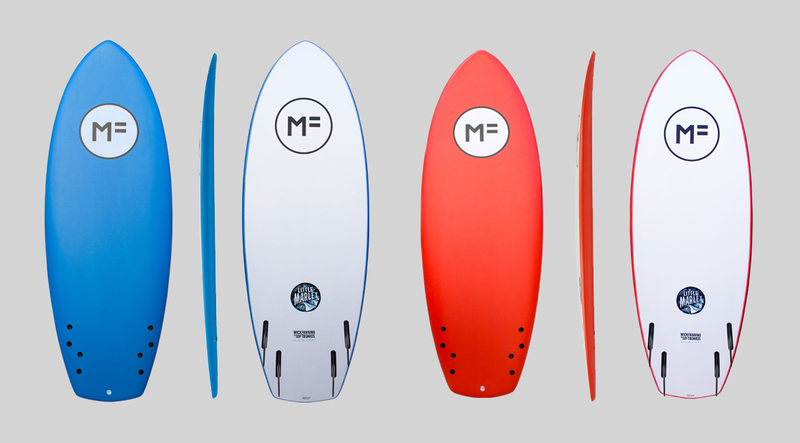 Available in a finless, single fin or twin fin version. The single fin model comes with 4.5" raked fin and the twin-fin comes with 3.5" keel fins for added bite, hold and drive. The Beater comes in a range of colours, designs and has some pro models endorsed by the likes of Julian Wilson and surfboard brand ...Lost. A really durable and exciting softboard to make the most of any beach day. Available in both 48 inches and 54 inches. The Little Marley by Mick Fanning Softboards is a short, wide and super fun board that will flow in any wave. The short rail line will fit into the smallest pocket and conquer the weakest beach breaks by decreasing drag. A single to double concave through the tail will let you take control of the speed it generates, while the subtle diamond tail will allow you to throw this board around. It also carries enough volume to keep you effectively afloat and paddling strong. The Little Marley comes set up as a Quad with fins included, there is also a 5 fin option with FCSII boxes available. 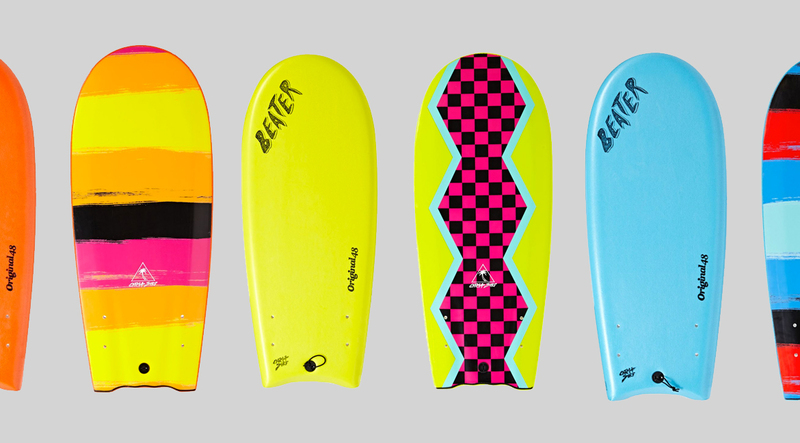 A perfect summer board that will let you ride it straight into those oncoming shore breaks. The Vision Ignite Soft Deck is all about accessibility. This board is for everybody and offers super fun rides at an affordable price. Perfect for the beginner looking to correct their technique after a lesson or two, or for a more competent rider looking for a board to catch even the smallest of swells on the summer days. Featuring a 100% waterproof core, soft deck, slick bottom and 2 wooden stringers for additional strength. The Ignite is a perfect addition to any quiver. Available from 6ft through to 9ft. The Softech Bomber is the ultimate summer cruiser that will flow down the line and turn on a dime. A ton of volume in the nose to assist with early wave catching and paddle speed, while FCSII fin plugs are included so you can install and remove your favourite FCSII fin set in seconds. The Bomber will provide riders of all abilities speed from the get-go and is perfect for groms or advanced surfers looking for something to throw around in a shorey. With 2 stringers running through an EPS Foam core and a HDPE slick bottom, these little foamies are tough enough to live up to the roughest of treatment. 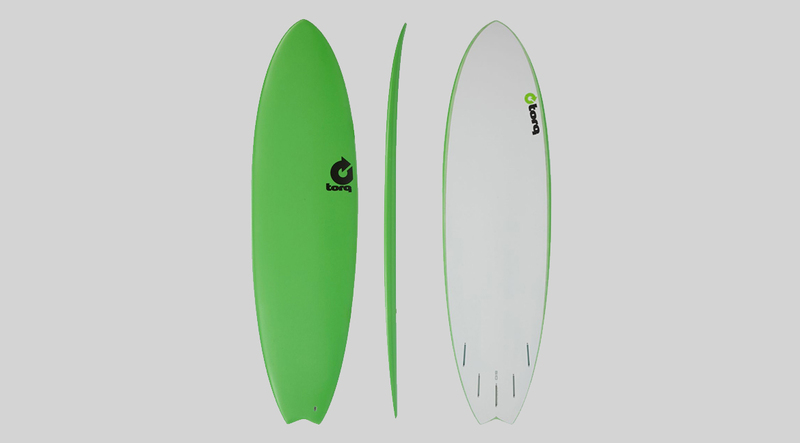 The Bomber is available in 2 different coloured prints, comes set up as a Thruster (fins included) and is 5’10”. 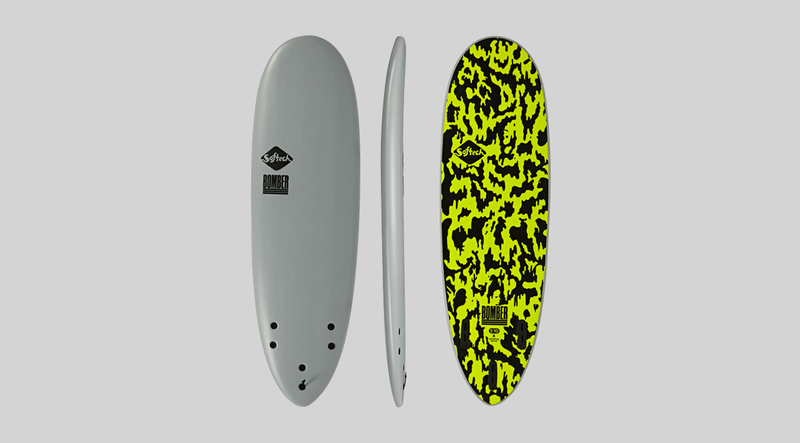 The Torq Soft Deck Fish is an EPS Epoxy construction board that is durable, stable and lightweight. Within its construction it actually includes a Fibreglass layer that can be seen on the bottom of the board but is covered on the deck and rails with an extra soft foam layer. This ensures the board is still safe around crowds, stays user friendly while the fish shape allows for lively manoeuvres when the surfer has progressed to the appropriate level. Integrated with 5 Futures fin boxes, you receive a set of thruster fins but have options to adapt the fin set up to your liking. Available in 6’3” and 6’10” sizes the Torq fish is the perfect next step from the giant foam mals you learnt on. Need advice? Drop us a line. With years of expertise we are confident that we can help you find the right board. With Free Shipping and Free Returns*, we have you totally covered.